When you buy a Hilton Coylumbridge timeshare, get ready for an impressive family vacation. If you are looking to get out of your ordinary, everyday routine, BuyATimeshare.com has the Hilton vacation package for you. 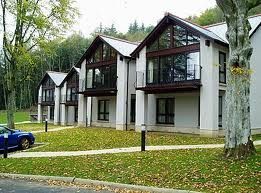 This Hilton Timeshare in the spectacular Scottish Highlands will give your family a fun and exciting vacation. 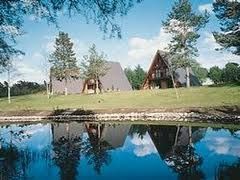 These Coylumbridge timeshares from Hilton Grand Vacations are located at the bottom of the Cairngorm National Park and are luxury units with a terrific view, as each timeshare stands alone so every family has their own private suite. Hilton Coylumbridge timeshares are the top choice of discerning travelers, so set your vacation apart with a two- or three-bedroom condo in the beautiful Scottish Highlands. Complete with handcrafted furniture, the views of the Cairngorm National Park blend the modern style with traditional charm. This HGVC timeshare gives buyers the feel of being in a luxury home with a fully-equipped kitchen, so you can prepare your meals and save money by not having to dine out on the town for every meal. In case you do feel the urge to taste the local cuisine, there are plenty of gourmet restaurants available along with the on-site restaurant. Coylumbridge bestows a beautiful panoramic view to all owners and guests. Through the large windows and a private balcony, this HGVC Timeshare is designed with relaxing amenities for those peaceful evenings of looking at the majestic mountains that surround the resort. Buy a Hilton Timeshare in the winter months and you and your family will enjoy the perfect downhill skiing conditions in the prime location of the Cairngorm Mountains near Aviemore. Families with children of any age will enjoy the miniature golf, bowling or the amusement of the Fun House right on the grounds of your Hilton Coylumbridge timeshare. Adults can enjoy an evening out for entertainment at the Foyer Lounge Bar and feel completely safe knowing their children are being cared for with the childcare services available from the HGVC resort. 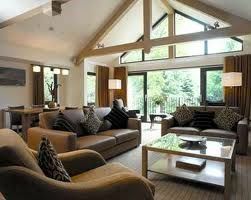 A Hilton Timeshare will give you and you guests more room than a hotel. Everyone will enjoy the fine restaurants, horseback riding, biking or even clay pigeon shooting in the nearby area. Anyone who is interested in buying a HGVC Coylumbridge will save money by working directly with an owner, saving substantial money compared to buying through the resort. So don’t wait to buy a Hilton Timeshare. 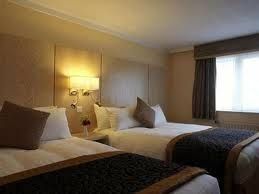 Hilton Coylumbridge offers great vacations for the entire family and you'll always find affordable holiday accommodation here at BuyaTimeshare.com. Are you are looking to get out of the ordinary? BuyATimeshare.com has the Hilton vacation package for you. Contact us today for more information or make an offer on a Hilton Coylumbridge timeshare that fits your budget. Contact Hilton Grand Vacations Club at Coylumbridge Specialist Today!